Eight new Pokemon have been revealed for upcoming Pokemon Sun and Pokemon Moon, including the final evolutions of the games' starter Pokemon. The Pokemon Company has released a new trailer for upcoming 3DS titles Pokemon Sun and Pokemon Moon, introducing a number of new Pokemon, including the final evolutions for the three starter Pokemon Rowlet, Litten, and Popplio. Decidueye, the final evolution of Rowlet, is a Grass/Ghost type, Incineroar, the final evolution of Litten, is a Fire/Dark type, and Primarina, the final evolution of Popplio, is a Water/Fairy type. You can check out more details on these three, per the official press release, below. 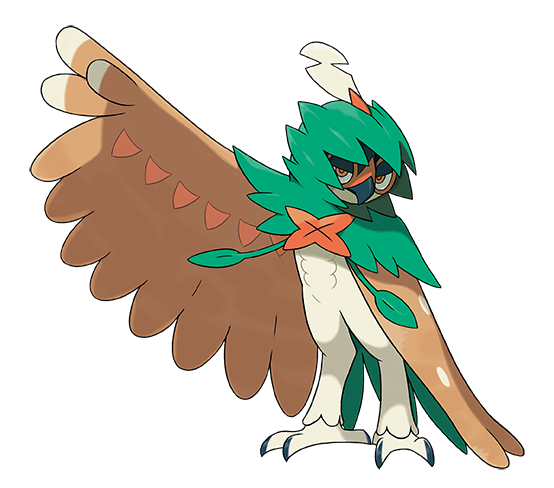 The Arrow Quill Pokemon Decidueye is the fully evolved form of the Grass- and Flying-type first-partner Pokemon Rowlet. Decidueye attacks with astonishing speed, plucking arrow quills from its wings to send them hurtling towards its target with precise aim. This Pokemon is able to move about whilst completely masking its presence from others. Decidueye is the only Pokemon that can learn the move Spirit Shackle. This new Ghost-type move hits an opponent and makes it unable to leave the battle-it can't flee or switch out. The Heel Pokemon Incineroar is the fully evolved form of the Fire-type first-partner Pokemon Litten. 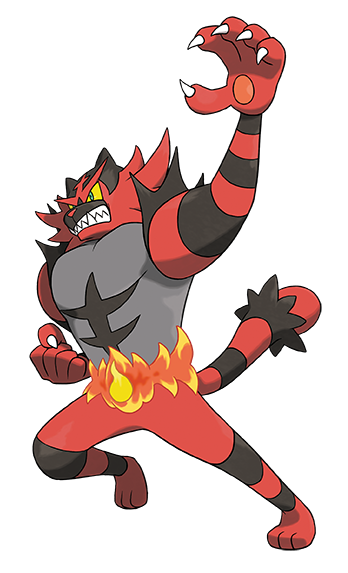 As Incineroar's fighting spirit increases, the flames it produces within its body burst from its navel and waistline. These flames resemble a championship belt, which it uses to unleash its moves. Incineroar is the only Pokemon able to learn the move Darkest Lariat. This new Dark-type physical attack allows Incineroar to deal damage to an enemy whilst ignoring the effects of any stat changes on that enemy. 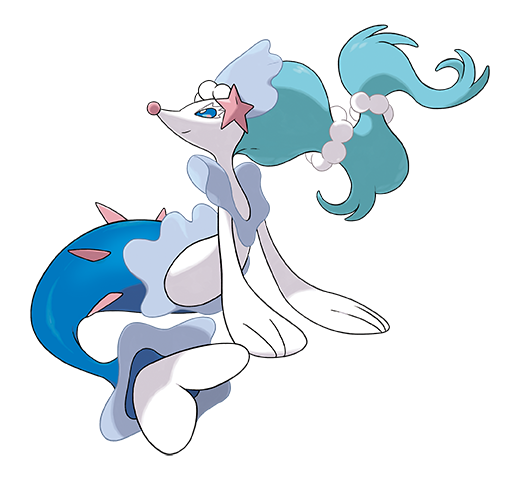 The Soloist Pokemon Primarina is the fully evolved form of the Water-type first-partner Pokemon Popplio. As Primarina dances, it releases balloons of water and controls their movement using the sound waves from its voice. Primarina uses some of these balloons to jump on and maneuver in battle whilst others explode when touched, which can trigger chained explosions. Primarina is the only Pokemon that can learn Sparkling Aria, a new Water-type special move which heals the burns of any target it strikes. The Nebula Pokemon Cosmog is extremely rare, known only to a select few across Alola. 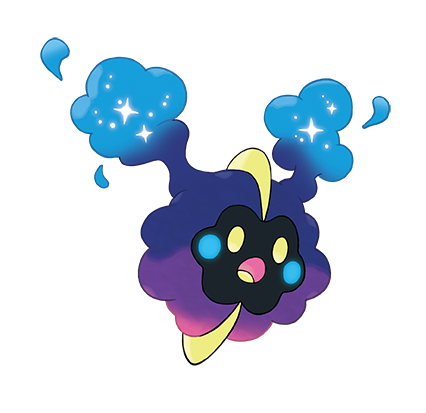 Named by the Aether Foundation, Cosmog is very curious, and its gaseous body is so lightweight that it's sent flying when the wind blows. When light falls on the Pokemon, Cosmog can absorb it and grow bigger. 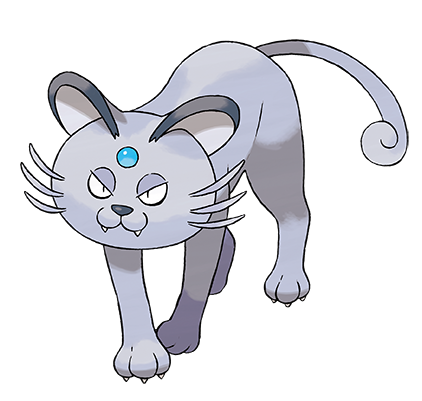 Alolan Persian is highly intelligent and doesn't like to grow attached to its Trainer, making it something of a difficult Pokemon to have as a battle partner. The round face of Alolan Persian is a symbol of the rich Alola region, and it is held to be a Pokemon of great beauty. Its exquisite coat shines with the glow of high quality and enchants both humans and Pokemon. For this reason, it is a very popular Pokemon in the Alola region. Tapu Lele is the guardian deity of Akala island. This Pokemon scatters glowing scales that have physical effects on others-providing stimulation to their bodies and healing their illnesses or injuries. 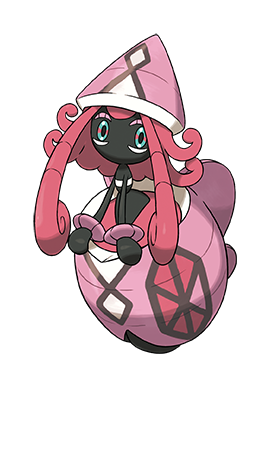 Tapu Lele has the Ability Psychic Surge, an Ability that no other Pokemon has previously had. With Psychic Surge, the field will be turned into Psychic Terrain, which boosts the power of any Psychic-type moves used by Pokemon on the ground and prevents them from being hit by priority moves. 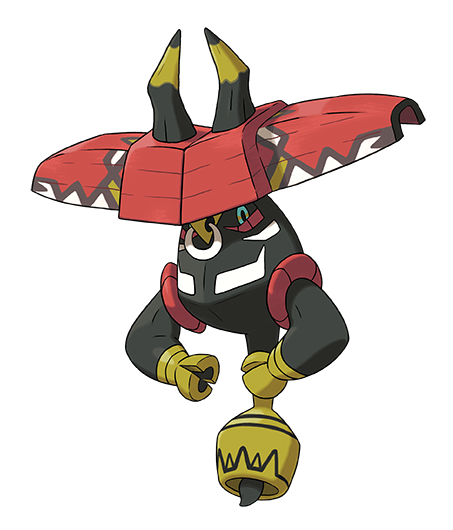 Tapu Bulu is the guardian deity of Ula'ula Island. This Pokemon has the power to manipulate vegetation and cause it to grow. It can use this power to make its wooden horns change shape and grow larger. Tapu Bulu has the Ability Grassy Surge, an Ability that no other Pokemon has previously had. With Grassy Surge, the field will be turned into Grassy Terrain, boosting the power of any Grass-type moves used by Pokemon on the ground and restoring a bit of HP to them each turn. It also halves the damage taken from the moves Earthquake, Magnitude and Bulldoze. 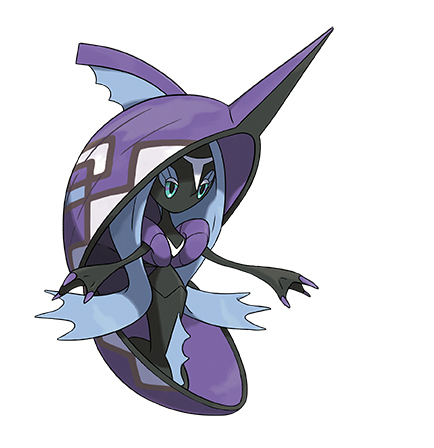 Tapu Fini is the guardian deity of Poni Island. This Pokemon is able to attack by manipulating water. It does not like to risk being harmed during battle, so it creates a thick fog to disorient its opponents and lead them to their own destruction. Tapu Fini has the Ability Misty Surge, an Ability that no other Pokemon has previously had. With Misty Surge, the field will be turned into Misty Terrain, halving the damage taken by Pokemon on the ground from Dragon-type moves and preventing them from being afflicted with status conditions or confusion.